The City of Rock Falls Electric Department (RFED) is a nationally recognized electric utility, providing service to Rock Falls residents. A proud member of the American Public Power Association, RFED operates the Hydroelectric Generation Facility on the Rock River, as well as nine peaking generators throughout the city. Our electric utility is maintained by eight to 10 linemen, a customer service center staff and various service personnel. 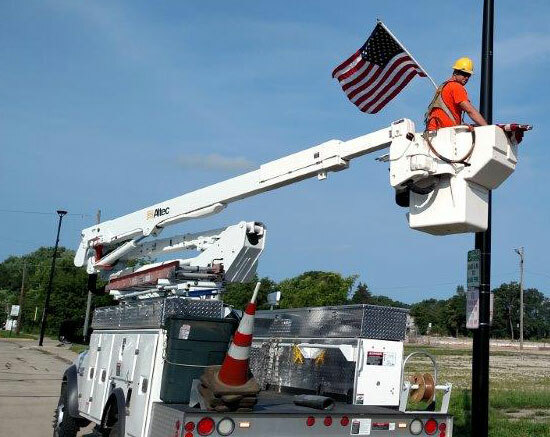 The dedicated and hard working employees of the City of Rock Falls are the reason for the success and national recognition that our utility has received. 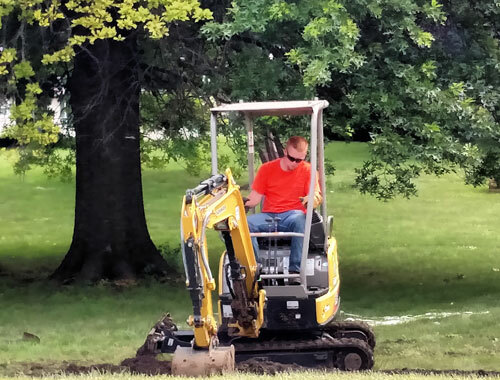 The utility’s exemplary safety record is due to their attention to detail and high standards of personal performance. The City of Rock Falls is a nationally recognized municipal electric agency. Rock Falls Electric Utility is one of only three communities in Illinois with the RP3 designation. 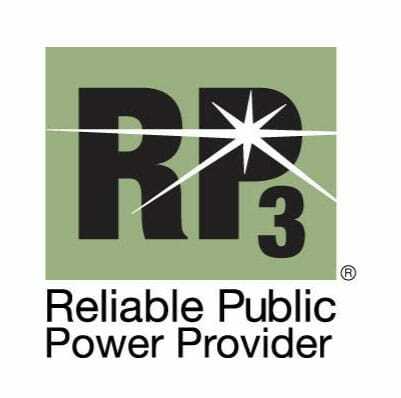 The American Public Power Association RP3 program recognizes utilities that demonstrate high proficiency in four areas: reliability, safety, work force development and system improvement. Criteria within each of the four RP3 areas are based upon sound business practices and recognized industry best practices. 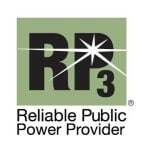 The RP3 Program shines a light on our utility for the excellent service it provides to our customers. The City of Rock Falls Electric has nine peaking power generators that can produce 17 megawatts of electricity for peak shaving or emergency generation. 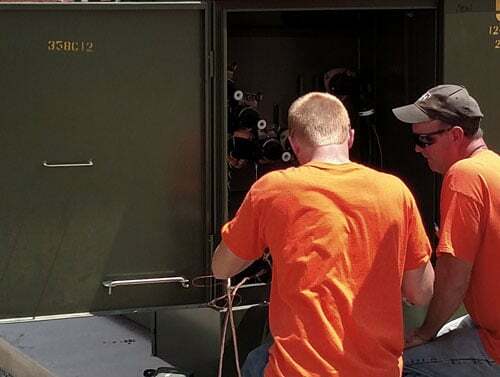 The generators are in strategic locations throughout our electric service area. Rock Falls has contracted diesel fuel delivery service which can deliver 24 hours per day, 365 days a year so emergency generation will not be altered when needed. The Hydroelectric facility uses the pool created by the Sinnissippi Dam, which was originally constructed by the U.S. Army Corps of Engineers in 1907. In 2013, the two megawatt hydroelectric plant had a 20 year rebuild which will make the facility even more productive and efficient to assist the City in its 24 megawatt peak demand. To provide the highest quality, lowest cost energy service to our customer-owners. To satisfy all of the customers all of the time. To provide an enjoyable work environment that encourages and develops competent highly-motivated employees. To promote a consistent, workable relationship with other departments in the city and outside communities. To develop and maintain a leadership image. To operate within the cities rules, policies and approved contracts. To be a respected provider. Click here for live monitoring. The Recycle My Fridge Program is aimed at taking residents’ secondary refrigerators off the grid. The IMEA administers the program in conjunction with the Appliance Recycling Centers of America (ARCA), Inc. Residents served by an IMEA-member utility can easily get rid of an old refrigerator or freezer taking up space in the basement or garage and receive a $50 prepaid card for doing so. Residents of owner-occupied homes served by an IMEA member utility can schedule an appointment to have their refrigerators or freezers picked up from inside their homes, free of charge, by calling 877-341-2313 (toll free) or by visiting the program’s Web site (www.RecycleMyFridge.org). Information, and requirements for the installation of solar can be found here. Use this form to report a street light outage.